Pool House 3 is a public swimming facility forming the heart of Stapleton, a “new urbanism” neighborhood on the site of Denver’s former Stapleton Airport. 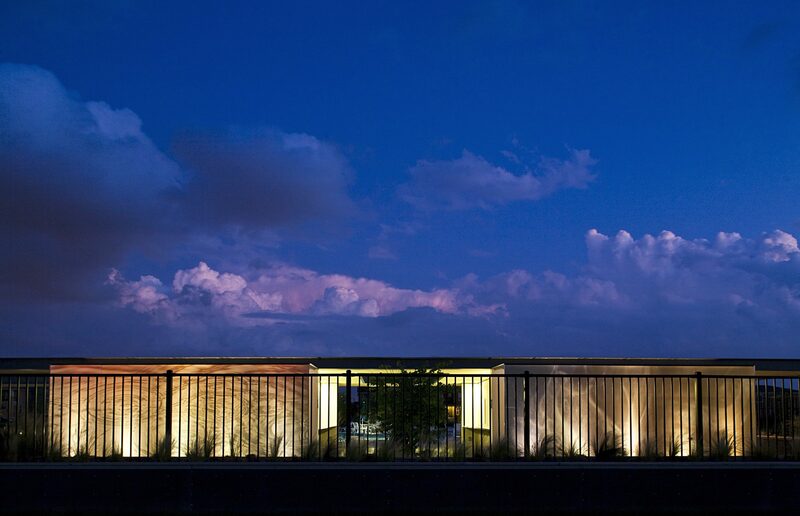 The building is a series of pavilions placed discreetly in the prairie landscape. Three white concrete pavilions, forming the restrooms and check-in area, contrast a fourth, rough-sawn cedar clad pavilion housing the pool equipment. 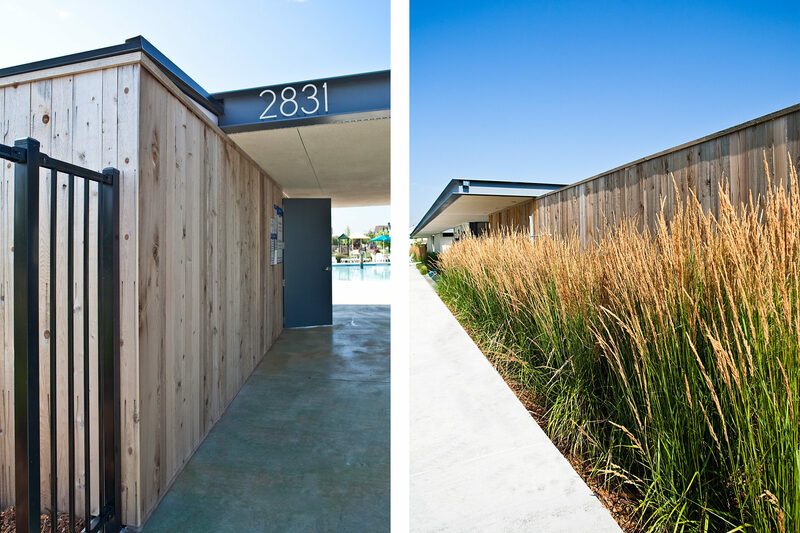 To create a north facing courtyard, wild grasses grow out of a 150-foot long planter built of reclaimed airport runway blast fencing. The street façade incorporates public art by Urban Rock Design of Los Angeles. 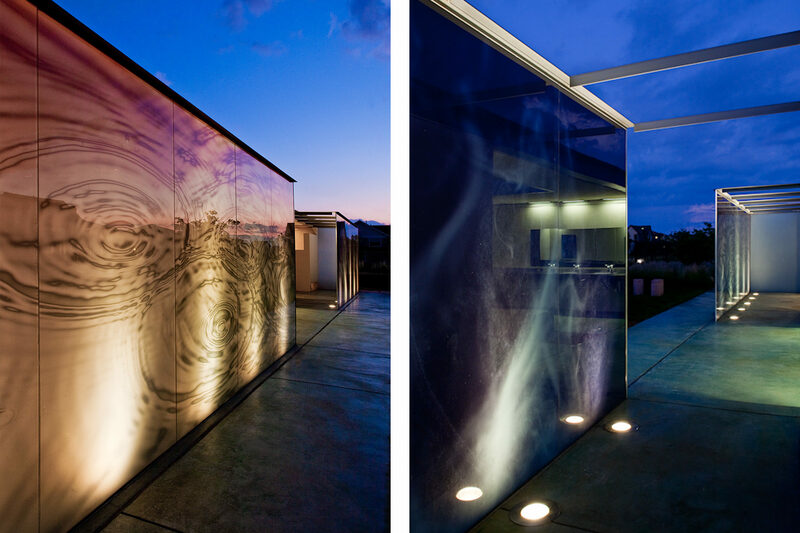 Three photographic panels, titled “Conditional Reflections,” depict the temporal condition of water – solid, liquid, and vapor. 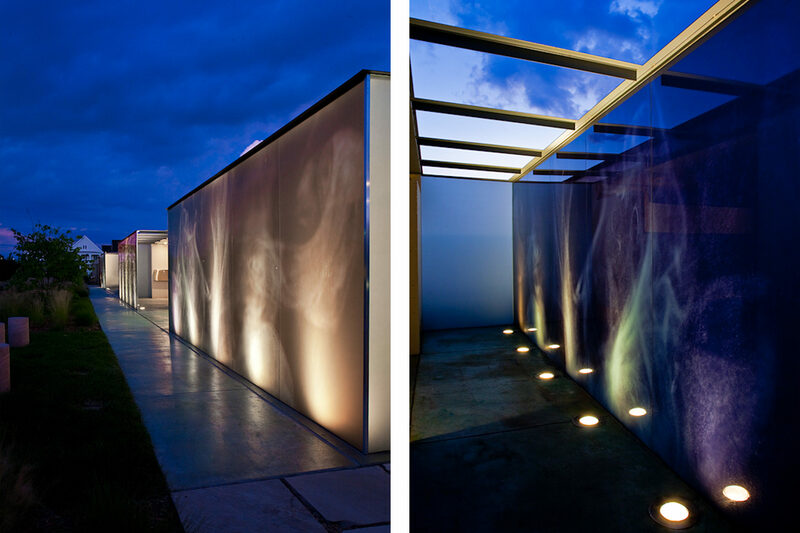 At night, the panels are backlit to transform the building into a floating sculptural light-box. This project was completed as a project architect with Semple Brown Design, P.C.